Published: July 11, 2018 at 07:30 a.m. Updated: July 11, 2018 at 08:18 a.m.
Summer break is already over for some young Baltimore players. Ravens rookies are scheduled to report to training camp in Owings Mills, Md., today. Veteran players report next week (July 18). Baltimore imported a bevy of rookies who could have a lasting effect on the Ravens' 2018 season and beyond, including tight end Hayden Hurst, quarterback Lamar Jackson, offensive tackle Orlando Brown, linebacker Kenny Young and others. John Harbaugh's players report earlier than most teams due to the Ravens' participation in the Hall of Fame Game -- they can thank Ray Lewis. Baltimore's opponents in the HOF Game, the Chicago Bears, report next week. 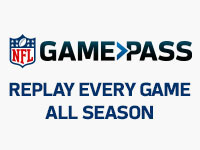 Teams participating in the Hall of Fame Game are eligible to begin training camp earlier than the rest of the league. The majority of NFL players are set to report to camp in two weeks. Ravens rookies reporting for duty on Wednesday marks the beginning of the end of vacation time in the NFL. Players wearing pads, hitting and games that matter are finally within sight. Let's go!